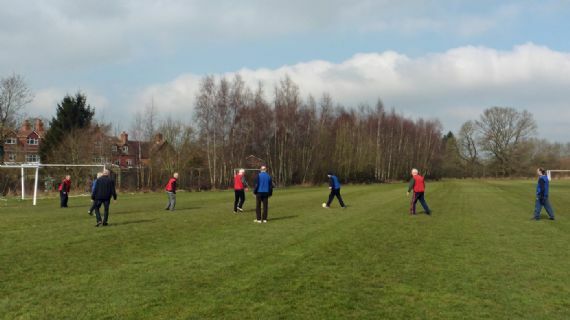 Balsall Common U3a, (University of the Third Age), held the inaugural walking football match at the Triangle on Thursday 17 March. Walking Football is a slower version of the beautiful game aim for those 50+. The next session is on Thursday 31 March. All are welcome.